Let's see if I understand this. They're legal for everybody in Nevada and in New Jersey, but only Indians can open casinos in any other state. What's up with that? Is it some form of Affirmative Action? Maine voters must decide next week whether to allow Maine's Indians to open one here and the airways are full of ads trying to influence Maine voters on Question 3. Driving toward Portland, I see sign after sign imploring me "Vote Yes" or "Vote No." Commercials on one side proclaim why a casino will be good for Maine and the other side counters that it would not be good. Not one of the ads I've seen addresses the question of why only Indians can open a casino, or why they would even want to. We can only assume it's just for the money. Every American has heard the story of how Indians were conquered and robbed of their land by settlers from Europe. Less often told are stories of how, before Europeans came to the Americas, Indian tribes had been conquering and robbing each other constantly in the same ways. European "tribes", if you will, could not out do Indian tribes for cruelty and savagery. 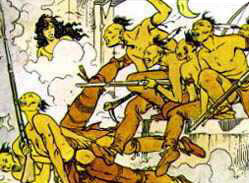 Indians were fully as nasty to one another as Europeans were to them. They weren't all the peace-loving tree-huggers Disney movies portray them to be. The story of who ended up controlling most of North and South America is one of survival of the fittest. Europeans were simply stronger than the strongest Indian tribes. Aside from that difference, the only other distinction is that many descendants of Europeans who conquered Indians have since been feeling guilty about what their remote ancestors did. 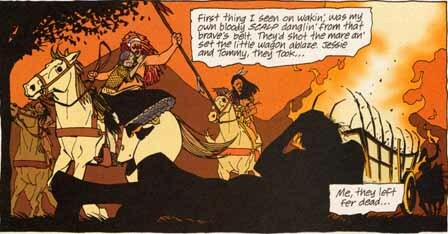 I've never read about any remorse to the Aztecs, the Incas, the Comanche, the Iroquois, the Pequakets or any of their descendants felt about massacring or torturing surrounding tribes and robbing them of their lands. Do these formerly-dominant tribes have any reparations or giveback programs that I'm unaware of? Please inform me if they do. Meanwhile, I'll just assume that it's only modern, white, liberal Democrats who are so wracked by guilt over the sins of their ancestors that they wish to force the rest of us to make amends whether we want to or not. Indians have ben exempt from some fish and game laws in several states, but I'm not sure why that is. Perhaps they might be inclined to go back to a hunting and gathering way of life if they could take deer and trout out of season. It doesn't seem very likely though that they'll going to Shaw's and Hannaford's any time soon. As a minority group, they have among the highest rates of alcoholism and suicide in the country. That's true at least for the ones who continue to live apart from mainstream American society on reservations and nurse their victimhood. This, of course, plays right into Democrat party politics. Victim groups have become the party base during the last few decades and it should come as no surprise that outgoing President Clinton granted federal recognition to several obscure Indian tribes that would then be able to apply for casino licenses. Media coverage of these last-minute deals was thin because attention was focused on Clinton's selling of presidential pardons and of him and Hillary stealing furniture from the White House. When I first moved to Maine back in the 70's, realtors told me that people purchasing property in many parts of the state might not be able to get clear title because of the Indian Land Claims case, which was pending in the federal courts. Because Congress didn't approve a treaty negotiated back in the 1790's, various tribes claimed they still owned vast tracts of land in the state. It was eventually settled with the Indians receiving a combination of millions in cash and several thousand acres of land. Thirty years later, Indians still get a high rate of public assistance and this doesn't make sense to me. If tribes claim to be sovereign nations within the United States, how can they qualify for welfare programs? Should we consider it foreign aid? 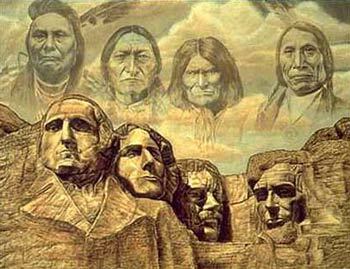 Are they simultaneously citizens of the Abenaki Nation and the United States? Whats going on? Would we let citizens of any other foreign nation open casinos in the United States that would be illegal for ordinary Americans to open? The illegal colonialist states which separated themselves from the original European countries which launched the invasion of this continent pay "rent" you, jerk, on the lands they took. The terms of this "rent" are found in the several hundred treaties the colonialist government has since attempted to weasel out of. Suggest you study the history you purport to teach. I hope this moron teaches nothing more advanced than fingerpainting K-1. ...[I]f it's true that "Maine voters must decide next week whether to allow Maine's Indians to open one here," that in itself is absurd. I mean, why the hell should the Maine voters be deciding for the Tribes whether or not they can exercise their sovereignty and act consistent with their relationship with the Federal Government which allows under law for them to negotiate compacts and requires the states to negotiate in good faith. I don't think giving the voters the thumbs up/thumbs down right is negotiating in good faith. The state's voters should have no say in it; it seems to me to already be law. Just as they should in every other attempt by states to invade the sovereignty and jurisdictions of Tribes, the Tribes should tell them where to stick their votes. 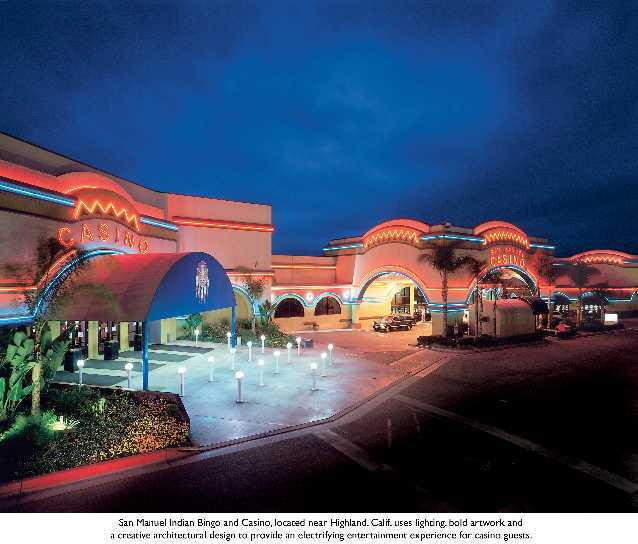 Another comment: So what if it is "just for the money" that Tribes want/need to open casinos? What are their other economic development options? Indian Land is Federal, not state land. So, it is exempt (legally) from state laws. The only reason you get to vote at all on this question is that someone in their great wisdom (listen for the sarcasm) decided that states get to have some say so on the topic. It flies in the face of federal law, but there it is. Clearly you don't understand gaming in America. Educate yourself through PECHANGA.net and other sources before you spout off again, please. The Crusades. The Inquisition. The Holocaust. 'Nuff said, I trust. In other words, wrong. See Savage Indians for details. Who says they were? So whitebread teachers stereotype Indians one way and whitebread moviemakers stereotype them another way. From that we can conclude whitebread people don't know anything about Indians. Wrong again. They had the advantage of numbers, technology, and, most important, diseases. See Guns, Germs, and Steel for more. Yet the first Europeans would've died if not for the Indians' help. Indian tribes were so "weak" they held out another 400 years against a foe with the aforementioned advantages. If that's weak, I'd hate to see strong. The Indians might've won right away if the Spaniards hadn't been extremely lucky. See Was Native Defeat Inevitable? (Mexican Version) for details. The Pequakets? Never heard of them. A Google search shows them to be a minor tribe in Maine. Marie Agatha, supposedly "the last of the Pequakets," died in 1816. The Iroquois were known as peacekeepers, not warriors. Our Constitution is partly based on their system of resolving disputes. See Fun 4th of July Facts for details. 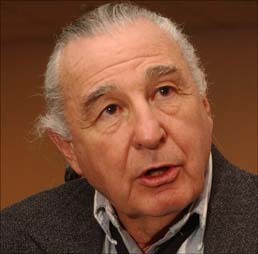 Out of the thousands of tribes inhabiting pre-Columbian America, McLaughlin has come up with four or five examples of violent tribes. Is that it? That's hardly a testament to Indian "savagery." McLaughlin misses a key point: that the conflicts of "warring" tribes were closer to raids or skirmishes than full-fledged wars. We don't suggest that Euro-Americans should apologize for every single battle they fought against the Indians, Mexicans, Filipinos, Vietnamese, or Muslims. The question is how horrible and unnecessary the conflicts were overall. 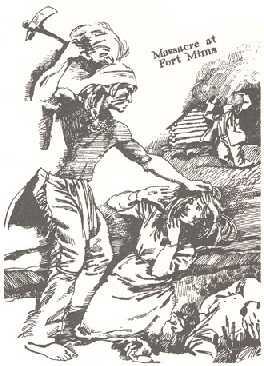 Nothing the Indians did to each other did can compare to America's war of genocide against them. If any tribes had grievances against their traditional enemies, they buried the "tomahawk" when they realized they faced a common enemy: the white man. In other words, they came to terms with their past enmity, settled their disputes, long ago. Since that's now a hundred or two years in the past, why would they still feel remorse? In contrast, today's Americans are still cheating the Indians (see the trust fund scandal), still breaking promises, still trying to do them in. There's no need for McLaughlin to feel remorse for his ancestors' actions. He and his ilk should feel remorse for their own actions (or inaction) every day. If any tribes still have grievances against other tribes, they'll do what all good Americans do: go to court. 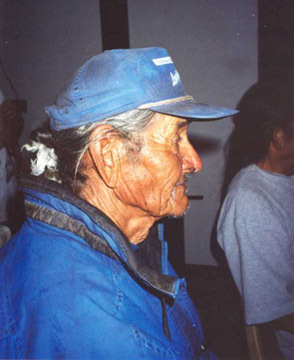 The Hopi, for one, did file suit against the Navajo for encroaching on their land. The Navajo lost the case(s) and are now making concessions ("reparations"). If other tribes have grievances they haven't settled yet, they're free to speak up and demand justice. The sound you hear is (mostly) silence. Most tribes realize they need to put aside their differences and work together for their common goals. Reparations to tribes from tribes? Many gaming tribes do help their less fortunate brethren: through compact agreements (California), scholarships, or emergency funds. That isn't the same as paying reparations to conquered enemies, but it isn't totally dissimilar, either. Helping people is part of the general Indian culture�unlike the general American culture. While tribes help tribes, you don't see states helping other states, do you? In fact, many states are hoping gaming tribes will bail them out of their self-induced debts. From the Pilgrims to Gov. Schwarzenegger, white people seem to need handouts to survive. See The Myth of American Self-Reliance for more. Every thinking adult should feel remorse that they, their parents, or their grandparents let the Holocaust happen. They should feel remorse that they let genocide happen in Cambodia, Rwanda, or Bosnia. They should feel remorse that they're contributing to the continued destruction of the lives and cultures of indigenous people around the world. But yes...it's liberal Democrats, generally, who understand Indian rights�who understand the US is obligated to uphold the treaties it signed per the Constitution. A few conservatives (e.g., Ben Nighthorse Campbell, John McCain) understand this also, but not many. It's called sovereignty, doofus. Learn about it. Is there anything more pathetic than a conservative blaming the victims for their so-called victimhood? I'm not sure the alcoholism and suicide rates are much different on and off the rez. Anyway, this statement shows a gross misunderstanding of why Indians live on reservations when, in theory, they could leave. The courts have said tribes are quasi-sovereign, not completely sovereign. But, hey�let's let them secede from the Union, form separate countries, establish their own borders and armies, etc. I imagine most tribes will forgo the welfare programs if the US grants them total independence. Yes, basically. Got a problem with that? Take it up with the Founding Fathers who drafted the Constitution. Who's this "we" McLaughlin refers to? The voters in each state determine what kind of gaming they'll legalize. Through their Congressional representatives, who passed the Indian Gaming Regulatory Act, the voters also said Indians could conduct any gaming the states authorized. Said authorization could come through a state's governor, its representatives, or its voters. If McLaughlin wasn't part of the "we" who voted to making gaming legal, well, boo-hoo. So he's part of a minority rather than the majority, for once. Now he knows how it feels. In short, the process is called democracy. If McLaughlin doesn't like it, he should've educated himself about who or what he was voting for decades ago. IGRA passed in 1988, so it's a little late for him to be using ignorance as his excuse.